PLYMOUTH MEETING, PA – February 15, 2018 – Premier Dental, a global developer and manufacturer of dental and medical products, today announced its new PremierAir™ line of innovative hygiene and diagnostic instruments for dental professionals. These lightweight, ergonomically designed instruments combine rugged polymer handles with a comfortable non-slip grip. Less pressure is needed to maintain control and that means there’s finally a better solution to reduce hand fatigue. Each instrument is made to the highest standards by master craftspersons in the U.S.A. and undergoes extensive testing to ensure a long working life. •	PremierAir Probex delivers the convenience of a probe and explorer in one instrument. The probes have easy-to-view, black markings that are recessed into the tips, greatly reducing wear. The explorer has excellent tactile sensitivity and sharp points for easy and consistent detection of tooth texture and surface irregularities, which is vital for the early detection of caries, calculus, and restorative marginal adaptation. 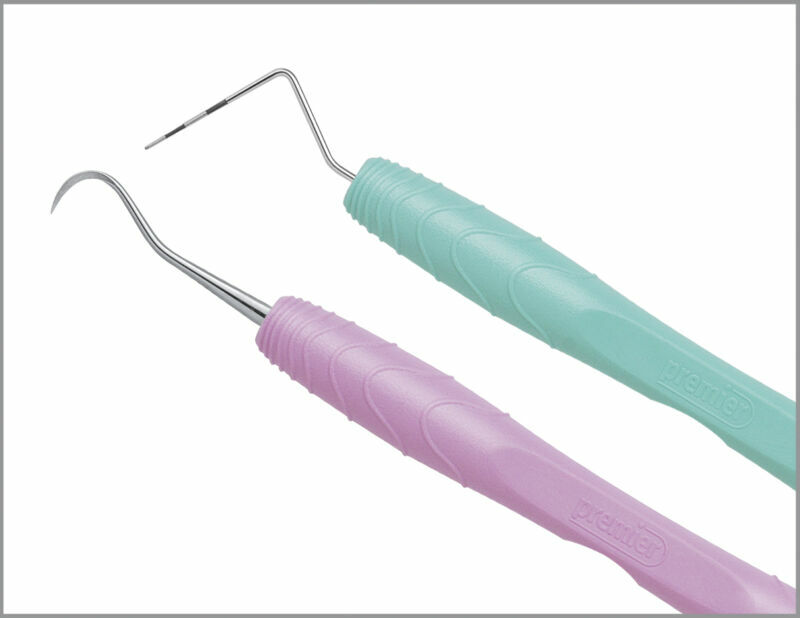 •	PremierAir hygiene scalers and curettes feature tips made from 440A stainless steel utilizing SmartSharp® Technology that ensures well-defined, sharp edges. This helps achieve a glass-like tooth surface more easily, which means less repetitive motion and reduced muscle fatigue for the user. •	PremierAir explorers are available in all popular styles. Like the Probex, they have excellent tactile sensitivity and sharp points to help quickly and easily detect any tooth irregularities. Premier Dental is a global privately-held developer and manufacturer of dental products with sales in over 75 countries. Dental professionals have turned to Premier for over 100 years to improve their daily procedures and practices. A leader in bringing innovative products to market, Premier is dedicated to inspired solutions for daily dentistry.